CHICAGO (WLS) -- A 16-year-old boy was found shot to death in an icy alley in Chicago's Humboldt Park neighborhood, police said. 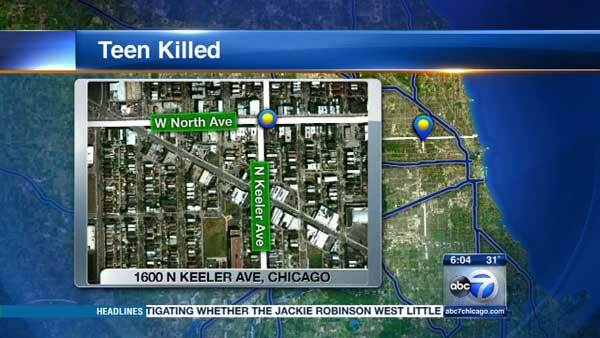 Officers found his body just after 10 p.m. Tuesday in the 1600-block of North Kedvale Avenue. Police said someone shot the teen several times.